If you are one that thinks there is nothing to using a spinning reel, I bet you are one that is not getting the most out of it. 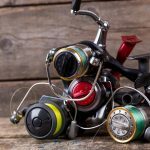 Sure, they are pretty simple but that doesn’t mean you shouldn’t look at ways to get the most out of your spinning reel by learning how to treat it right. I’ve seen plenty of people complaining about a spinning reel at the jetty. When I take a look at it, it is pretty obvious that they haven’t taken the best care of it. Most problems related to spinning reels start with the owner and the way they have treated it. 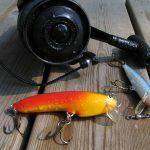 Here is a look at some of my tips to getting more out of your spinning reel. We’ve all experienced them. They look like a bunch of grapes mid-way through your retrieve. I’ve heard all manner of reasons for their existence but no more so than the poor old spinning reel. There is an easy way to avoid wind knots in your fishing line when using a spinning reel. 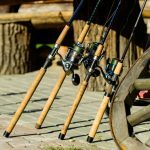 The use of the automatic bail closure on spinning reels often leads to wind knots. This is because the bail is closed without any tension on the line. 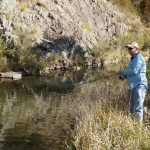 An easy way to avoid this is to manually close your bail and squeeze your line firm until some weight comes onto the line during your retrieve. Sure it is fun to look at a spinning reel and admire how many times it spins around on its own. Spinning your reel tirelessly doesn’t do it any good if you are not reeling in a line. Another big mistake I see is in the way the reel handle is set when the rod and reel are cast. If the handle is in a position where it will move when the rod is cast, you increase the chance of the bail arm closing when you cast. Think about this before casting your rod. You can hear damaged gears soon enough. That crunching sound when the reel is winding is a good sign a spinning reel is in trouble. The cause of damaged gears is pretty simple. Fishing with really heavy braid fishing line well over the recommendation of the reel is just asking for trouble. The best way to care for the gears of your spinning fishing reel is to pump and wind while using the correct weight fishing line the reel was designed for. Damage your gears and there is nothing to do but fix the spinning reel or replace it. 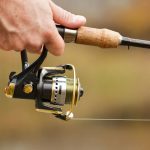 Taking care of a spinning reel will go a long way to fighting corrosion. Even if you rarely fish in saltwater conditions, look for a reel that is designed with anti-corrosive properties. Some reels are just better than others at dealing with corrosion. You can help with the longevity of your spinning reel by rinsing it in freshwater and lubricating it if you need to once it is dry. Don’t soak the reel in a bucket of water because that water will penetrate and affect the lubricants already in the reel. The best way is to rinse. Leaving any spinning reel to be the victim of the salts and minerals in both freshwater or saltwater is just asking for trouble. 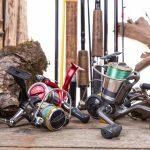 With a little bit of care, you can get many years of quality use out of a quality brand name fishing reel. Nothing beats the experience of manufacturers that have been in the fishing game for generations. You know you can rely on their design. All you need to do is back it up with proper care. Do you have any other tips you can add to taking better care of a spinning reel? Let us know by sharing your thoughts through the comments section below.